“Isn’t that a maze?” That’s the question we often get when we talk about the labyrinth. This guided walk leads a person into the center through gentle twists and turns, seemingly getting closer and closer while still not quite “there”. Walking the labyrinth is often a metaphor for the journey so many of us travel through addiction, mental health and simply life circumstances, including our community member “Marie”. Last month, Marie who is one of our newer community members joined us for this spiritual practice. Marie has fled abuse and is trying to find a new path. As she walked the Labyrinth her body hung from her frame, heavy with burdens. Upon reaching the center her body gave way, collapsing down to her knees with an exhale which reverberated like a ripple coming from the center of the mat. 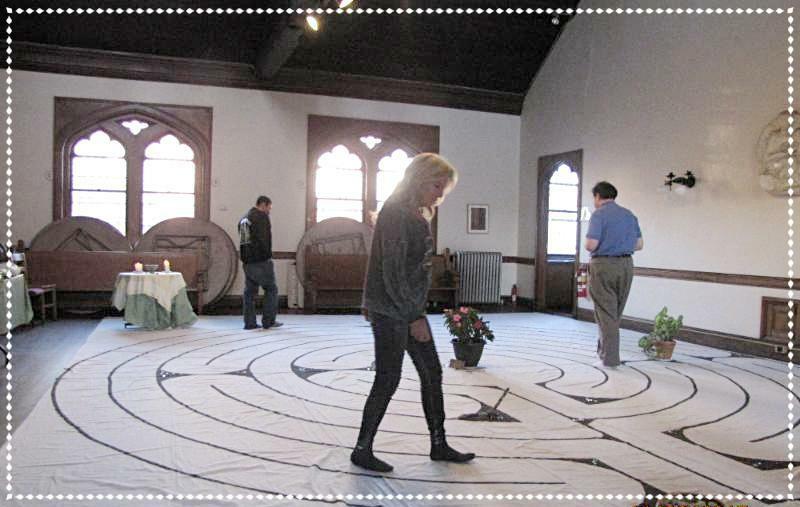 We never know who is going to come to these spiritual practice, we just hope and trust the practices will “provide just what is needed.” After all Hope is found in hearts connected.The next Labyrinth will be June 13 @ 2:30pm at Christ Church in Waltham.